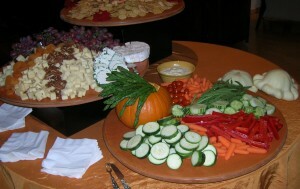 CRUDITE DISPLAYS STILL THE BUZZ! 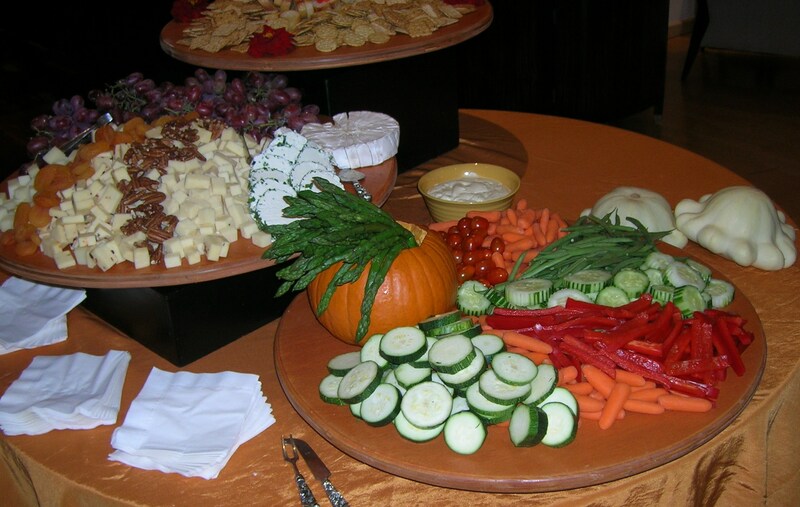 Whether it’s a variety of raw vegetables or one single vegetable with tricolors in a bread bowl (also known as a “boule”), creative crudite platters are still the most popular requested stationery appetizer for guests at every celebration. It’s easy to prepare in advance and is a wonderfully healthy hi fiber filler before the main courses are served. Hummus has always been a great dip and accompaniment to a variety of raw and roasted veggies. 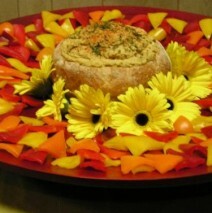 Here, tricolored peppers are cut into triangles, plated around a Stuffed Boule with Roasted Pepper Hummus with Pinenuts.Set atop a 38″ bamboo tray and garnished with Gerber daisies. We would love you to share your creative ideas with us for beautiful crudite platters. 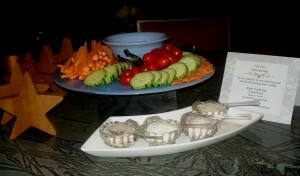 Visit our other fun, creative party ideas at www.orble.com/spectacular-parties or www.vipchef.com/blog Cheers to inspiring your fabulous creativity for your celebrations!